If you’re like most Californians, you’ve probably never heard of the Delta or why it’s important to the state’s economy and wildlife. 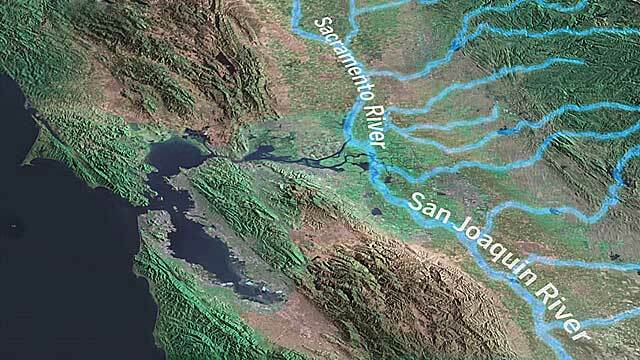 In three minutes, we’ll explain how the Delta is a key part of California’s water supply and why it’s been the focus of a decades-long water battle. I am a docent at the Bay Model in Sausalito, and the Delta’s past and future figure prominently in the tours I lead. You’ve done a nice job on this overview of the Delta’s significance to the state’s growing population and the demands it places on fresh water supplies.